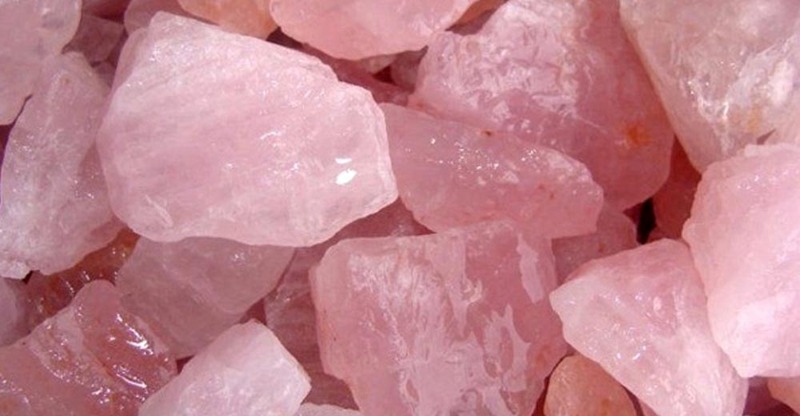 With its gentle pink colour, the lovely Rose Quartz is a stone which embodies love and hopefulness. 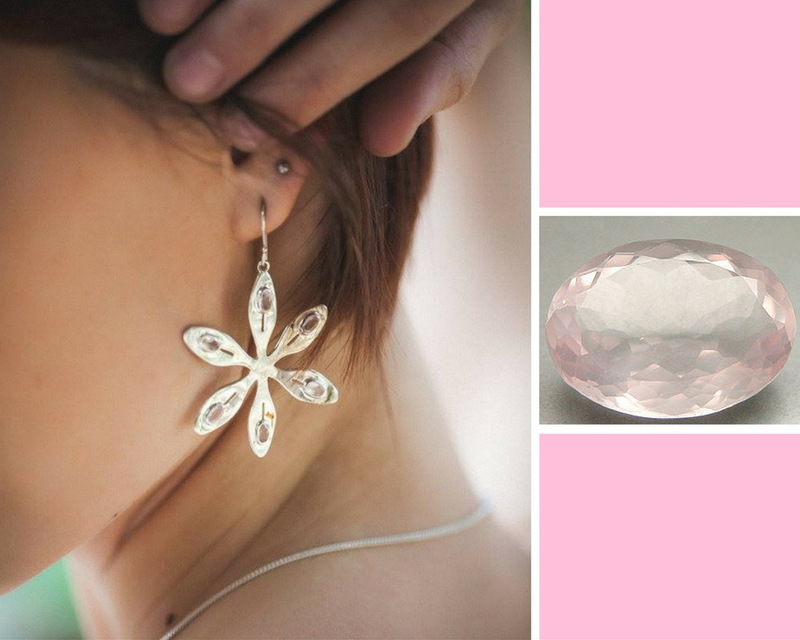 It is a stone of compassion and healing and is said to bring about positive energy and an abundance of love to the wearer. 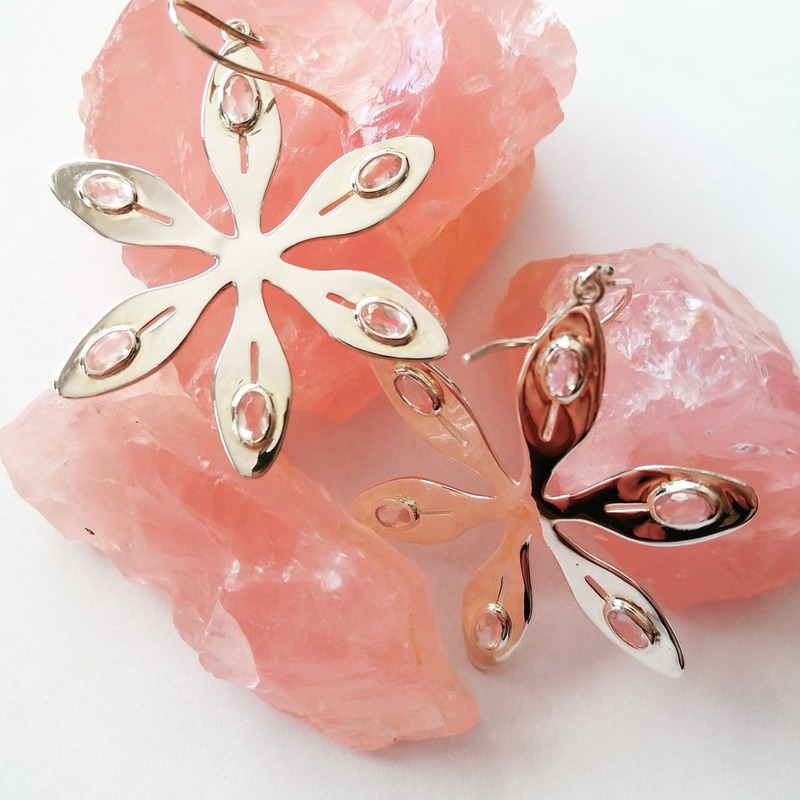 Agapanthus Earrings - Sterling Silver with Rose Quartz.